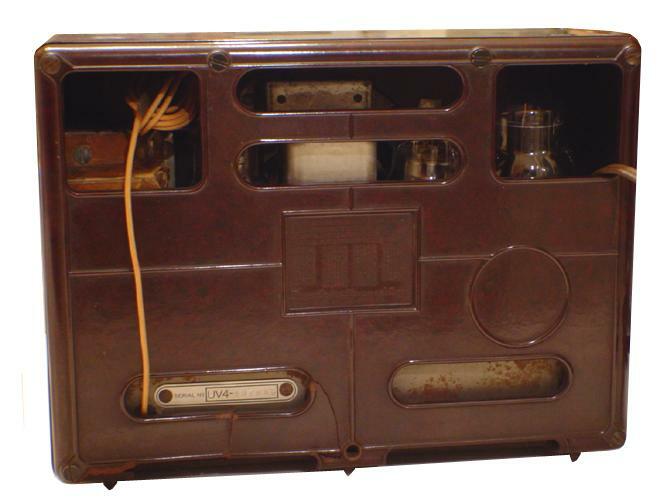 This attractive 4-tube Emerson was marketed as a "Miracle Six" because of its six-tube sound. 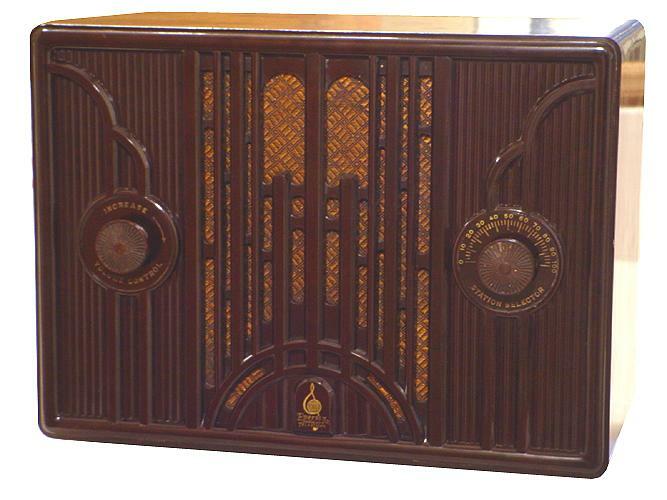 Indeed the radio is not a bad performer, but the cabinet is beautiful enough that it doesn't matter. The appearance of the vertical lines is reminiscent of skyscrapers from the thirties. This model originally sold for $19.95.